I'm Here. I'm Queer. What the Hell do I read? 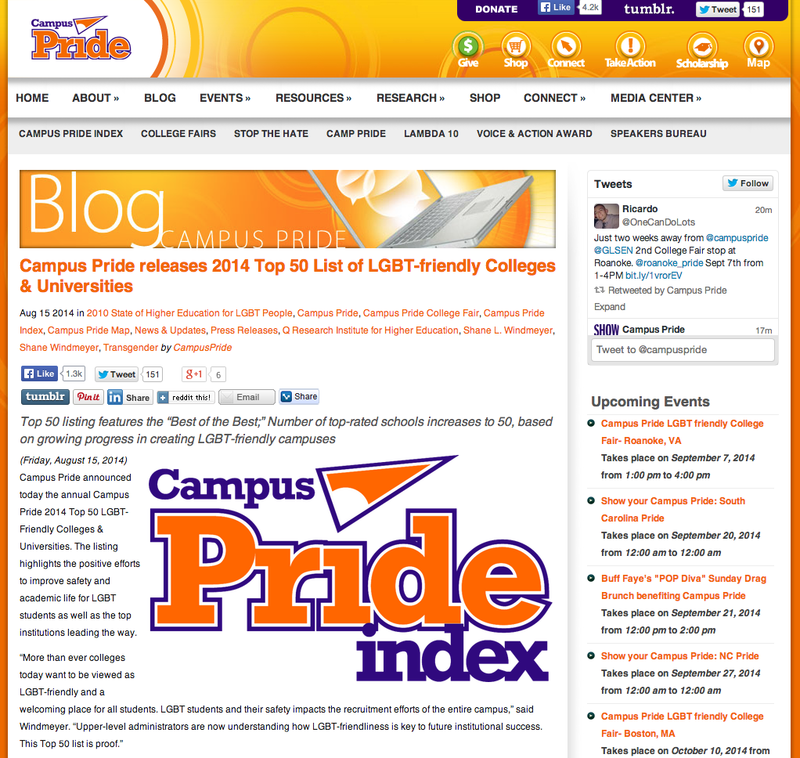 : Great Resource: Campus Pride Releases Their 2014 List of the "Top 50 LGBT-Friendly Colleges & Universities"
Great Resource: Campus Pride Releases Their 2014 List of the "Top 50 LGBT-Friendly Colleges & Universities"
For LGBTQ and Allied high school students, this list by Campus Pride is a very useful tool to add to the mix. It not only lists the "Top 50," but has scores for more than 375 additional colleges and universities.